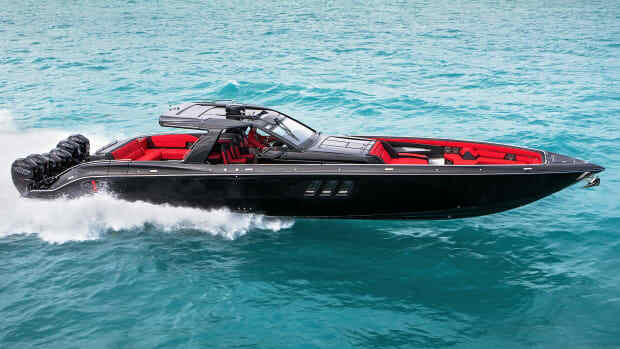 Full of user-friendly features, the largest outboard-powered boat in a reliable line makes its U.S. debut. 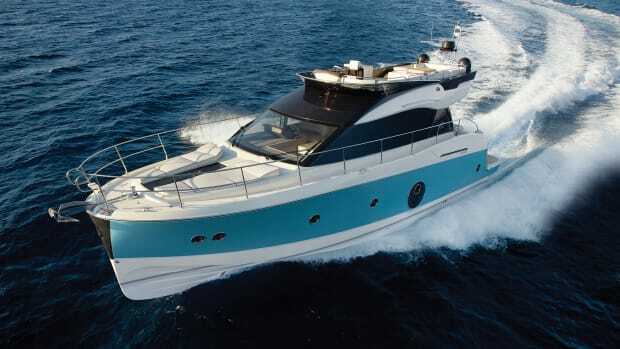 The latest addition to Beneteau&apos;s outboard-powered Antares line is the perfect size for a weekend. At the Newport boat show in 2018, there were a wide variety of people. There were the buyers dressed in their Sunday best inspecting glamorous yachts. There were the oglers hopping from boat to boat without any intention to buy. And there were the quiet, measured folks looking for something reliable, easy to operate and not too big. 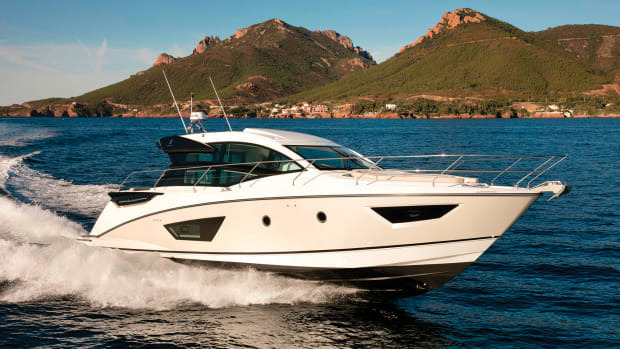 These were, from what I could tell, the people attracted to the Beneteau Antares 27. 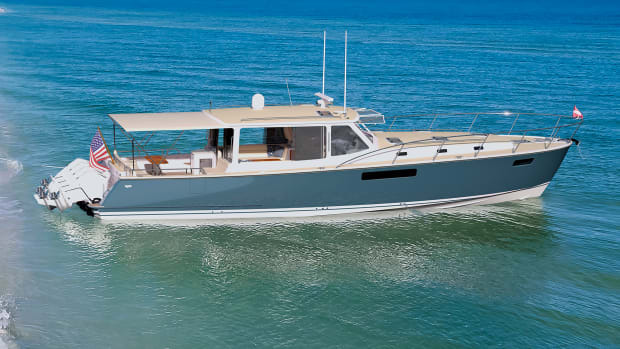 The largest in Beneteau’s Antares line (there’s also a 21- and 23-footer) made its U.S. debut this fall. 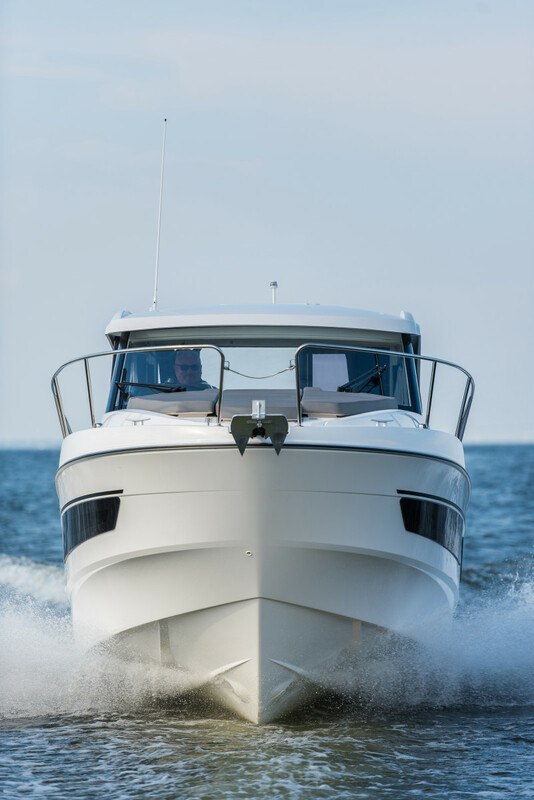 The 27 has a tulip-shaped bow that lends it more forward space than one might expect for its size. 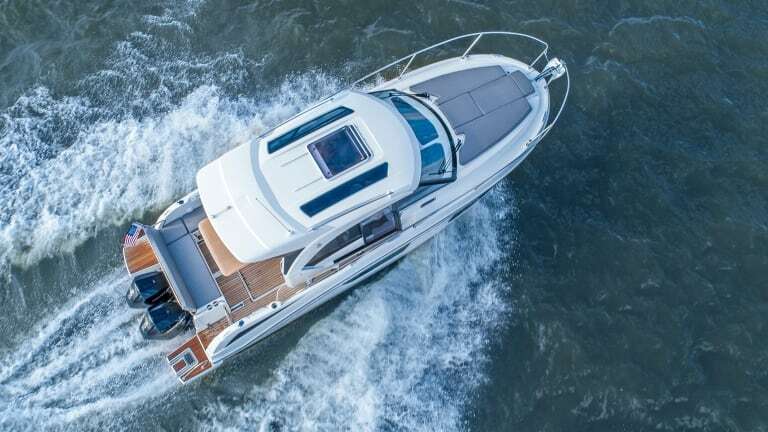 With a queen berth forward and another cabin amidships, it’s plenty big for a family to cruise for a long weekend. But it’s not too big—and that’s exactly how the builder wants it. 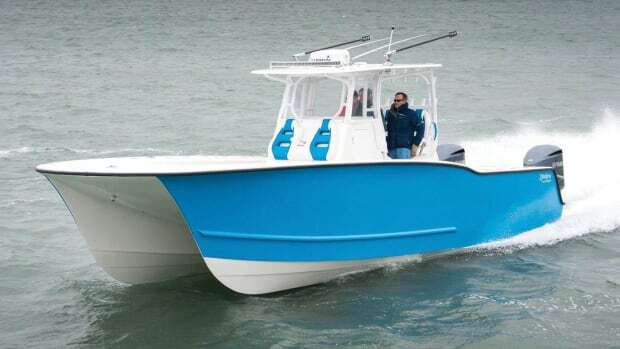 “We’re trying to keep things simple,” said David Aldrich, Beneteau’s outboard sales manager. 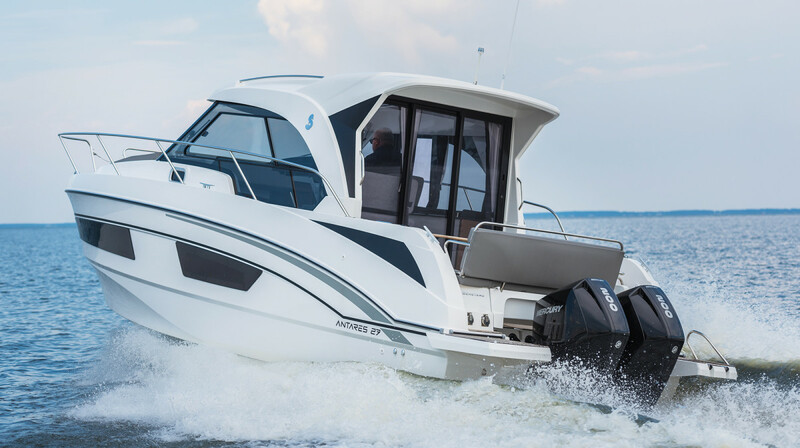 To that end, the 27 is full of user-friendly features, starting with the single 350-hp or twin 200-hp Mercury outboards (Suzuki and Yamaha are also options). The outboards appeal to new and seasoned boaters who want to skip the perceived maintenance of inboards. The hassle-free experience continues inside, where a manual sunroof is easy to operate. 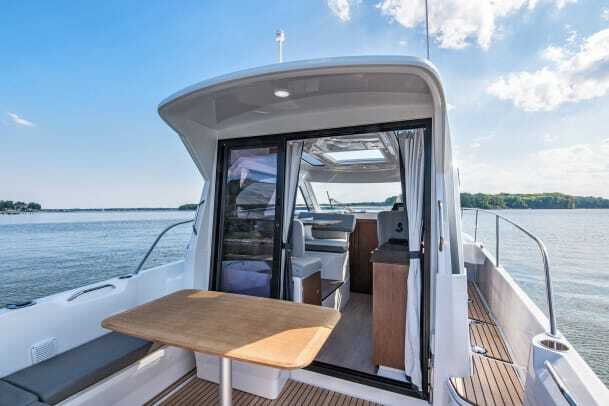 A sliding glass door adjacent to the helm and starboard mid cleat makes it simple for the captain to scoot outside and throw the lines while holding onto the handy roof rail—a simple yet useful touch. All this, combined with a bow thruster, is designed to take stress out of the docking experience. Aldrich had no reservations about the need for a bow thruster on a boat this size. “Would you buy a car without power steering?” he asked. Of course not. 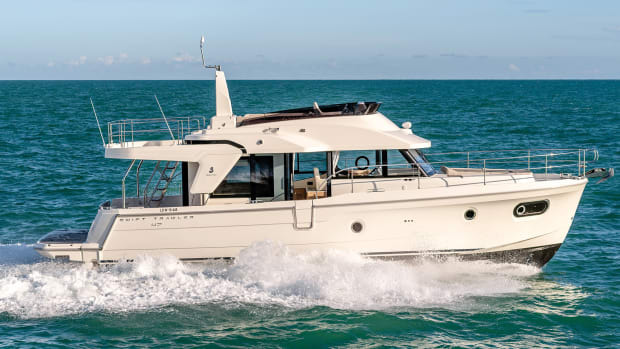 With an optional Garmin navigation system, this Polish-built craft still has the features that clients have come to expect in a Beneteau. A sliding glass door aft shelters the salon from the elements and keeps the air conditioning contained. 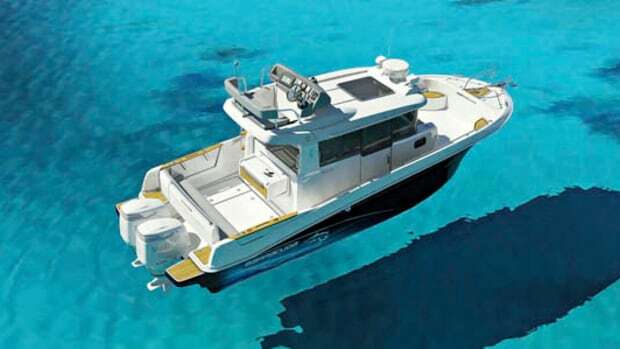 The galley has a gas-fired, two-burner stove with a refrigerator and plenty of stowage for a weekend’s worth of sundries. Fourteen cup holders ensure everyone on board has a place (or two or three) for their drink. The table on the rear deck pops off to make room for a sunpad, and the dining area in the salon converts to a third sleeping or lounging area. 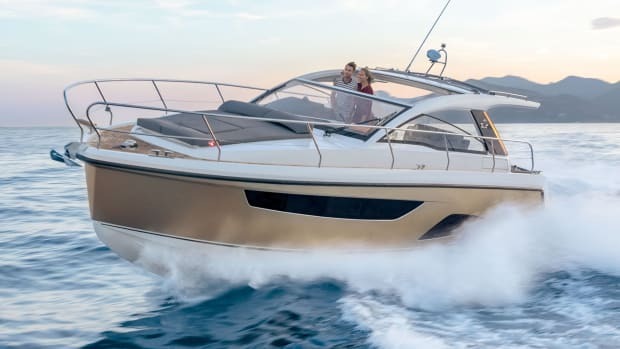 The Antares 27 can reach 39 knots at 5500 rpm with the twin 200-hp Mercs according to the manufacturer—pretty speedy for a family boat designed for coastal cruising. 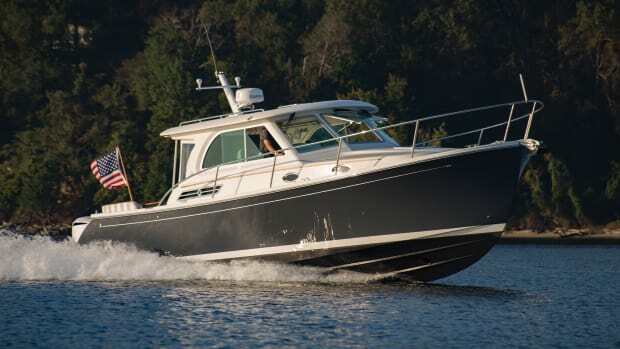 A 24 knot cruise speed at 3500 rpm burns 15 gph from the twin 79-gallon fuel tanks and offers a 248 mile range. With the outboard market as hot as it is, this model is likely to make an impression on U.S. customers.